Watch and jewelry store retailers are among the most welcomed visitors to any watch company booth at Baselworld. Retailers seek new watch collections they are confident will complement existing watches already for sale in their stores. At the same time, their visits to see what’s new at the brands they already carry will help them determine what to order –and focus on– for the remainder of the year in their showcases. We asked members of iW’s Leading Watch Retailers to tell us what they saw, liked and didn’t like during their recent tour of Baselworld’s watch purveyors. In part I of a multi-part report, below are responses Steve Hammalian (SH), owner of Little Treasury Jewelers in Gambrills, Maryland, Scott Meller (SM) Vice President of Feldmar in Los Angeles and Beau Hequin (BH) CEO of Morays Jewelers in Miami. We’ll be back with additional LWR Reports later this week. Which booth or brand were you most excited to see? 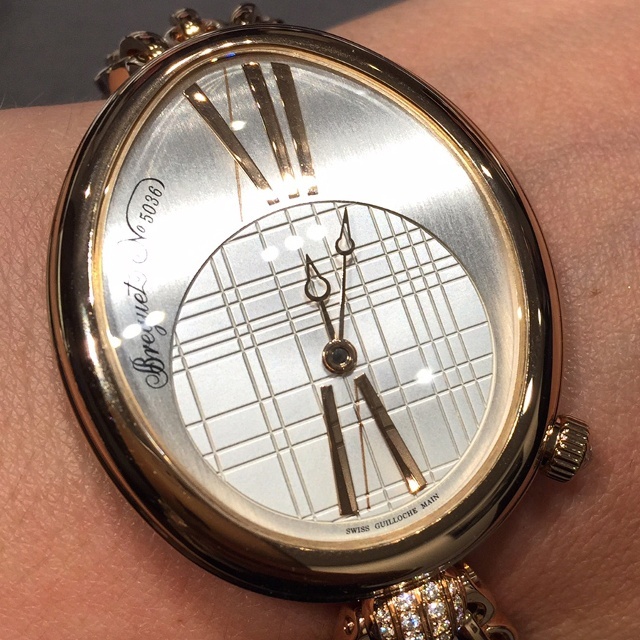 BH: Breguet is always my favorite brand to see at Baselworld. The company has some of my favorite people working for them, and the prestige and pedigree behind the brand is second to none. SH: We always love the excitement and buzz at the Bremont booth. Blown away by the Speake-Marin collection and the person. We had a ball with Ivan Arpa looking at his over-the-top ArtYa creations. 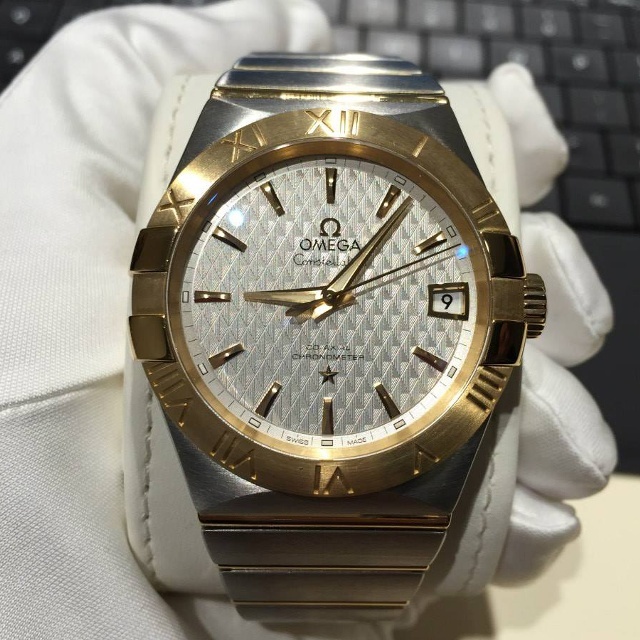 SM: Omega – they always have exciting new products to show at Basel. What is your top pick? Which watch or watches blew you away? BH: I would have to say that the new direction that TAG Heuer is taking thanks to Jean-Claude Biver is really going to turn the brand into something special. He understands both sides of the industry: from the manufacturer prospective and the retailer prospective. The vision he presented makes a lot of sense for both sides and the individuals who will benefit the most from this new direction will be the end consumer. 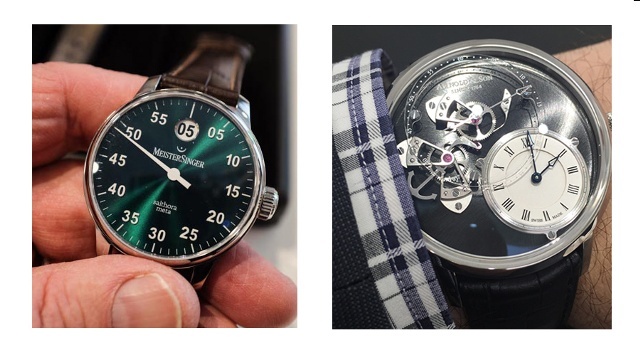 SH: I really liked the Meistersinger Salthora Meta with green sunburst dial. It just caught me and the new size is just great. The Bremont ALT1-ZT, so classic. 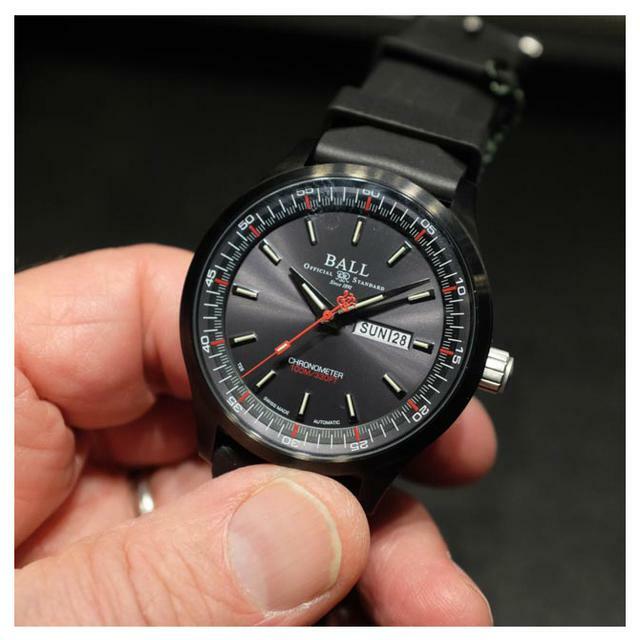 The Ball Engineer II Volcano, carbide-mumetal composite case is, well, volcanic. Also the Ball Engineer Hydrocarbon AeroGMT—first watch with tritium illuminated bezel! Longines Pulsemeter Chronograph, another classic. Were you interested in any of the new smartwatches being shown? BH: For me, smartwatches are a different industry and we do not compete. Smartwatches become outdated every couple of months as technology improves faster than we can keep up with. 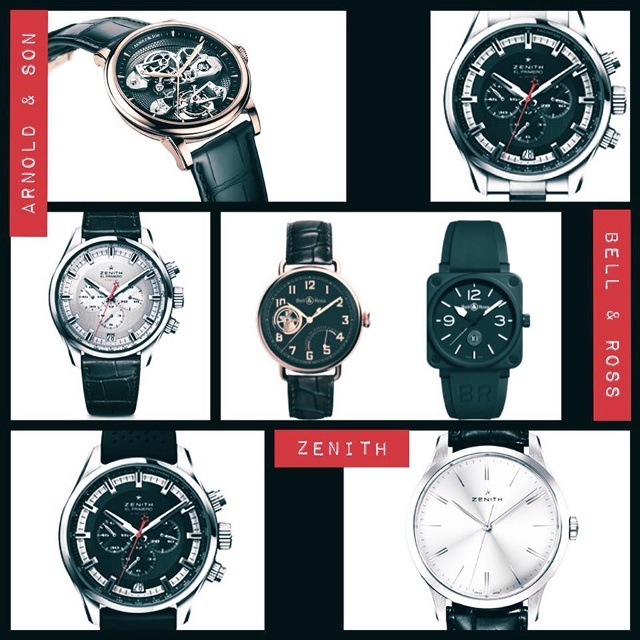 A mechanical timepiece is something that is a tradition that will live on forever and is very much different in every way from smart watches outside of the fact that they both belong on the wrist. SH: We liked the look of some of the pieces Frederique Constant is doing with their Horological Smart Watch. SM: No, we only saw prototypes. BH: A lot of brands went back to the history books of their company’s lineups and took some cues from past models. Vintage accents could be found in almost every brand, and the results have been magical. SH: The i-watch phenomenon of course was in the background. Is green (and maybe brown) the new blue? The presentation of new metals, e.g., Mu-Metal for Ball, Boeing steel for Bremont, among the brands we carry. SH: We are buying relatively more of the new offerings than last year based on our strong growth results with selected brands. Also we are purchasing higher-end pieces in our brands based on customer demand. BH: My selections are based on what my clients want. I do not buy based on what I think looks awesome or cool. I have always been taught to buy based on what my client wants, and that is conservative on one end and very fun on the other. It is always important to be buying for the customer. SM: More bi-color (steel & gold) options.